The Home Gardens team is busy getting ready for spring! Our Community Organizers are conducting initial site visit consultations with families to map out their gardens and collect soil samples to test for lead contamination. Most lead contamination occurs within 3 feet of the house as a result of lead paint that was used prior to 1978. 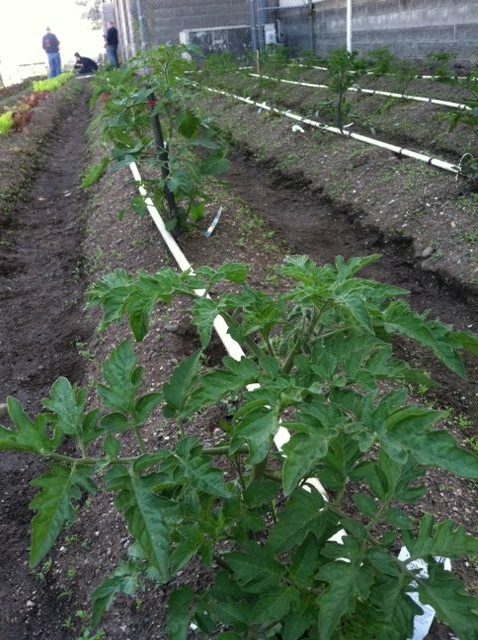 Luckily most of the yards we test do not have contamination and when they do, we build a raised bed with clean soil and a root barrier to prevent uptake. Our spring enrollment is nearly full, but if you or someone you know is interested in applying for the Home Gardens program, check out the “How to Apply” section of our website. We need people to help build gardens, mentor beginning gardeners, sort seeds and more! Please read our current volunteer opportunities page and contact emily@growing-gardens.org to learn more and join the team. We still have 2 spots open for teams to join our Spring Dig-in Earth Day fundraising and garden-building event. Learn more here. Winter is finally coming to an end and we are so excited to have our garden clubs start planting for their school cafeterias! That little bit of sunshine is making us so excited. Because of this harsh winter, kids are just nibbling on herbs and watching the garlic grow, but are having fun looking a seed catalogues and dreaming about what they want to plant. We are currently looking for volunteers for spring garden clubs. If you love gardening and working with kids consider joining us at one of our nine partner schools. Apply to become a spring garden club assistant. Save the date! Growing Gardens School Garden Coordinator Certificate Training will be June 26th-June 30th in SE Portland. Spend a week with us learning about school gardens and what it takes to build a successful garden program! Our professional learning community for classroom teachers is up and running! 10 teachers from the Portland Metro meet once a month and collaborate on ways to use their school garden as an outdoor learning space. 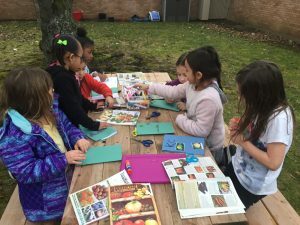 Through the process, teachers receive Continuing Education Credit from PSU and will plan at least 4 lessons with their student utilizing their school gardens. 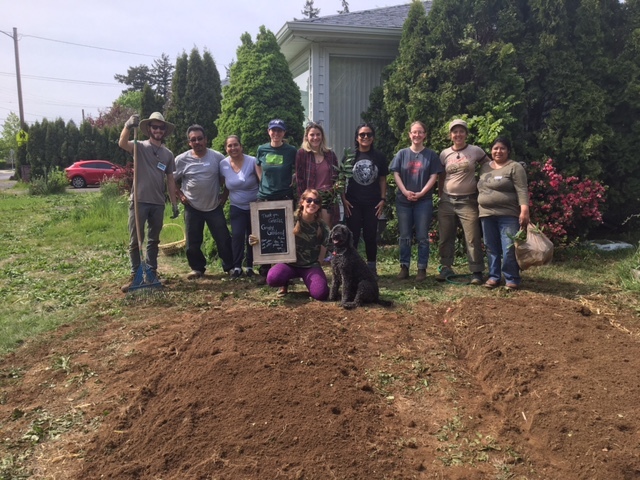 The PLC will help bring garden education to 225 students in Portland! 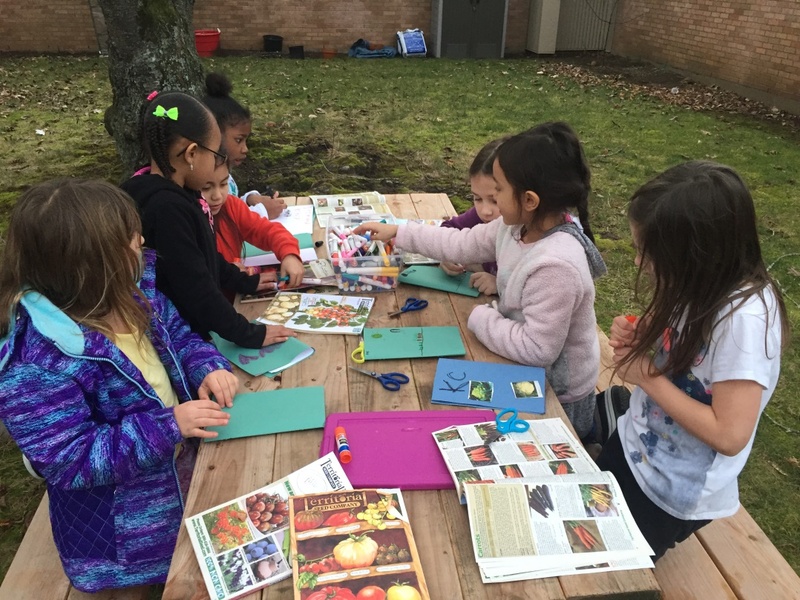 In 144 schools surveyed in the Portland region, 99 have school gardens used to teach 15,720 students everything from environmental science to language arts. Want to learn more about the school garden movement in the Portland region? Check out our recent study underwritten by east Multnomah Soil and Water Conservation District. Get involved with Youth Grow! We are currently recruiting for a FoodCorps service member for next year. Please read more about FoodCorps here , or email Sarah sarahc@growing-gardens.org for more information. Classes are starting up in correctional facilities across the state. From Columbia River Correctional in Portland to Power River Correctional in Baker City, Volunteers and the Department of Correction are getting classes up and running. For the first time this year Snake River correctional in Ontario will offer classes in medium security as well as minimum security. This is a big step forward for the program because it allows us to reach more inmates at the site.